Situated 15 miles north of downtown Cincinnati, our modern hotel is ideal for weekend getaways to catch a Bengals or Reds game, a couple days at Kings Island, business trips or hosting your next meeting, reunion or event. 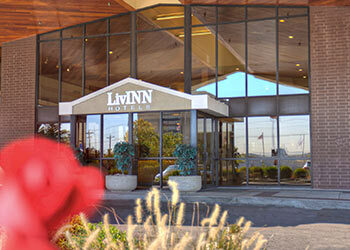 With easy access right off Interstate 75, LivINN Hotel Cincinnati / Sharonville Convention Center is a breeze to get to from any direction. Located in the Sharonville, OH, adjacent to the Sharonville Convention Center, we are within minutes of the Cincinnati Zoo, Kings Island Amusement Park, and the Cincinnati Reds and Bengals stadiums. Enjoy the vibrant shopping and dining scene of downtown Cincinnati. Or stay closer and explore the quaint local area, with homes from the early 1900's. Discover Cincinnati's largest living history museum, Heritage Village, where you can visit the Kemper log house built in 1804. You'll also find many great shops and restaurants near the hotel without all of the city crowds.